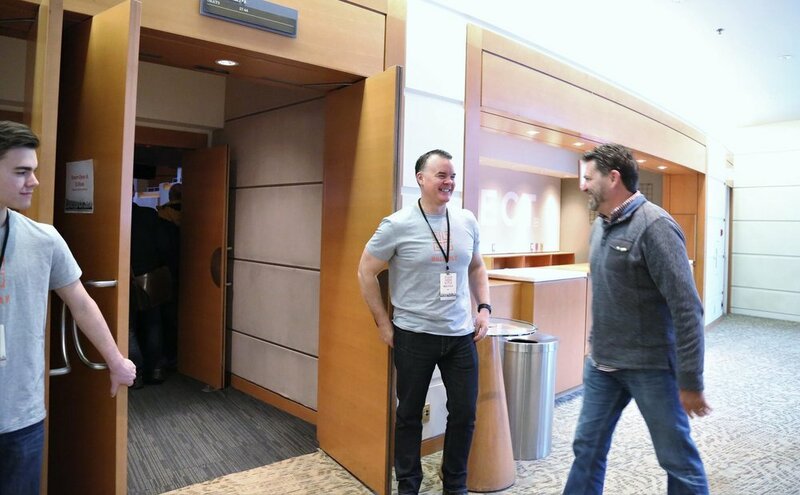 Thank you for considering volunteering for this year's Multiply Conference in Vancouver, BC! We are already excited for what God has in store for this year's event and look forward to having you as a key part. Thank you in advance for giving of your time and talent to serve C2C Network / Multiply over these two days. We are grateful for the larger body of Christ in Canada as we work together for one Kingdom goal. The Multiply Conference is an exciting two days! Many pastors and church leaders come from all over Canada, the USA and beyond. Our hope and prayer is that by volunteering for this conference, you are encouraged and strengthened in your faith, meet amazing people, and have a blast doing so! Our desire is to serve together as a TEAM. We welcome you to our team! C2C Network / Multiply desires to provide excellence in all we do as we serve during this event. Please pick at least one service time slot. You may pick more than one service time slot as long as the times don’t conflict. Please plan to serve the entire duration of the time slot you have signed up for. Please plan to arrive 15 minutes prior to the stated shift start time. Please enter the venue (Westside Church) through the front doors and check-in at the Volunteer Check-in Desk. You will be given a FREE conference pass to attend (when not serving). This pass gives you access to both days of the conference! There is no on-site parking. Please park in lot nearby and present your receipt at the Volunteer Check-in Desk for reimbursement. Have you volunteered for the Multiply Conference before? As a Multiply Conference usher team member, you will be responsible for welcoming Multiply Conference guests and helping them get seated. This role also involves, but is not limited to: holding doors, giving directions, handing out programs, answering basic questions, cleaning up lobbies and main auditorium, and of course being a welcoming host. As a Multiply Conference usher team member, you will be asked to wear a Multiply Conference t-shirt and event badge/lanyard. Please come dressed in comfortable footwear as you’ll be on your feet for the duration of your shift. Please also wear comfortable pants or jeans that don’t hinder your activity as you serve. All ushers will report to a team leader before the beginning of your shift. You will receive an email one week prior to the event with further instructions. Please plan to arrive at Westside Church 15 minutes prior to the start of your shift. You will need to check in upon arrival at the front doors / Volunteer Check-in Desk. As a Multiply Conference cafe team member, you will be responsible for preparing the coffee breaks for the Multiply Conference guests. This involves you working with an on-site coffee team (Collective Coffee Roasters) to prepare coffee, serve coffee, setup snack stations, and clean-up snack stations. The role also involves serving the Multiply Conference guests by answering basic questions and getting them snacks as requested. As a Multiply Conference cafe team member, you will be asked to wear a Multiply Conference t-shirt and event badge/lanyard. Please come dressed in comfortable footwear as you’ll be on your feet for the duration of your shift. (Don’t worry, you’ll also get lots of breaks as needed.) Please also wear comfortable pants or jeans that don’t hinder your activity as you serve. All cafe team members will report to a team leader before the beginning of their shift. You will receive an email one week prior to the event with further instructions. Please plan to arrive at Westside Church 15 minutes prior to the start of your shift. You will need to check in upon arrival at the front doors / Volunteer Check-in Desk. All Cafe shifts have now been filled. Thank you, volunteers! As a Multiply Conference host team member, you will be responsible for frontline greeting and welcoming Multiply Conference guests! This is our “first impressions team.” Along with smiles, handshakes and welcomes, you’ll also be responsible for showing guests where to go, answering basic questions, handing out programs, and of course making people feel super welcome. As a Multiply Conference host team member, you will be asked to wear a Multiply Conference t-shirt and event badge/lanyard. Please come dressed in comfortable footwear as you’ll be on your feet for the duration of your shift. Please also wear comfortable pants or jeans that don’t hinder your activity as you serve. All host team members will report to a team leader before the beginning of their shift. You will receive an email one week prior to the event with further instructions. Please plan to arrive at Westside Church 15 minutes prior to the start of your shift. You will need to check in upon arrival at the front doors / Volunteer Check-in Desk. As a Multiply Conference registration team member, you will be responsible for getting Multiply Conference guests registered and in the venue. This role requires excellent customer service and administration skills. This role can get very busy on Day One, so multitasking and busyness under pressure are required skills. Roles also include, but not limited to, greeting at the front doors, registration table sign-in, taking payments, answering basic questions, giving venue directions, and of course be the frontline of welcoming and greeting! As a Multiply Conference registration team member, you will be asked to wear a Multiply Conference t-shirt and event badge/lanyard. Please come dressed in comfortable footwear as you’ll be on your feet for the duration of your shift. Please also wear comfortable pants or jeans that don’t hinder your activity as you serve. All registration team members will report to a team leader before the beginning of your shift. You will receive an email one week prior to the event with further instructions. Please plan to arrive at Westside Church 15 minutes prior to the start of your shift. You will need to check in upon arrival at the front doors / Volunteer Check-in Desk. All Registration shifts have now been filled. Thank you, volunteers!